Texan pageant winner, Reese Taylor, has a former classmate who wants her dead. Now she must leave her friends and family to enter a protection program on Emerson Ranch. A group of good-looking cowboys awaits her, but Reese has her eye on Blake Emerson, the one man too busy with the ranch to give her a chance. Blake Emerson has no time to go lookin' for love. He's got a ranch to run, positions to fill, and an ache in his heart from love gone wrong. 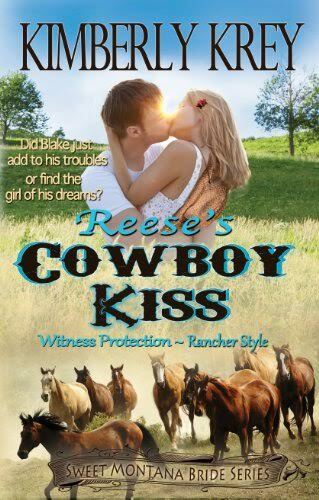 So when he agrees to harbor a witness to help on the ranch, Blake assumes his first two problems are solved. But he never dreamed his new guest would be a woman. One he was destined to lose his heart to. With sparks burning hot and danger around the bend, one question lingers in his mind: Has he only added to his list of troubles, or has Blake just found the woman of his dreams?